What’s wrong with these fittings? My fitting orientation is all wrong. You will get this especially on zero dead leg valves for pharmaceutical products but I’ve seen this on other products. If you create a plane between the 3 connection points of the valve you will see that it’s not parallel with the rest of the geometry, valve body in my case. The direction is given by the 3’rd connection perpendicular to the line between the first and second. 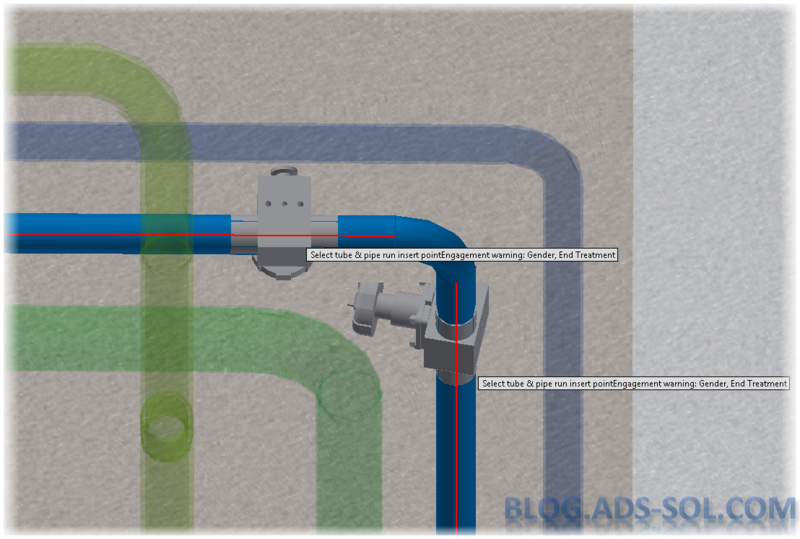 I think this is to help out with inexperienced users, idiot proof really, helping out if you didn’t align your connections to the model but that's just for straight fittings like tees. Now what? 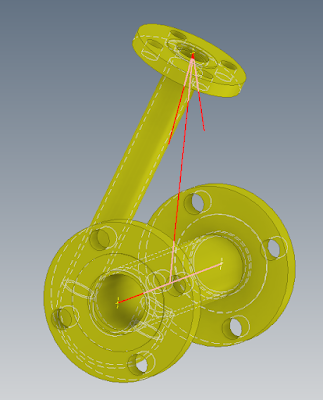 Am I supposed to measure the angle every time and change fitting orientation on a continuous loop? (rolling eyes). In order to fix this you need to add another authoring point and make it a 4 point connection. 4 Connections on a 3 point fitting? Are you mad? I thought we already established that and we’re here to have some fun and solve some problems. We will be creating the 3rd connection inline (same plane) and parallel with the fitting as spare, never to be used and instead the 4th connection is to be used. 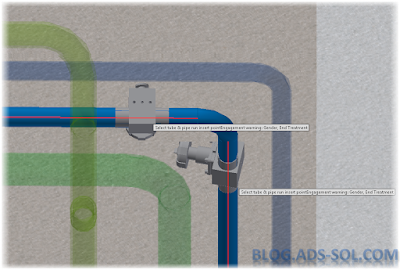 It might help to make the 3rd on a different plane away from 4th like right on the origin line just so it’s out of the way when placing or connecting fittings to it. We want to make it very obvious from the snap preview that it’s not the one to be used. I have also gave it a really small connection size; a size we would never use like 1/8” to differentiate it even more and keep people from connecting to it. 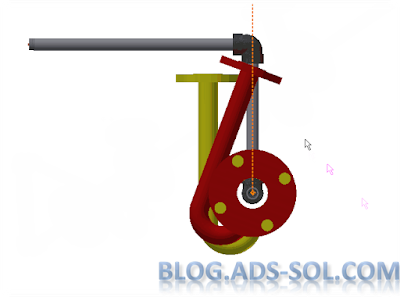 I’ve given this example before on autodesk forum on a similar issue. You can keep just 3 connections if you align the third but we can do better. I feel it’s best to have a 4’th connection but be careful on placing fittings. Watch out for ghost connection when placing this fitting.